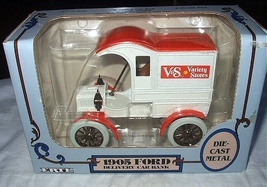 Nice collectible die cast metal bank produced by The ERTL COMPANY of Dyersville, Iowa. 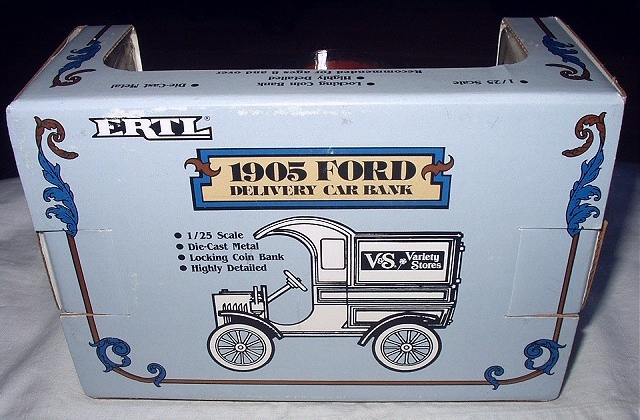 This was manufactured with the permission of The Ford Motor Company. 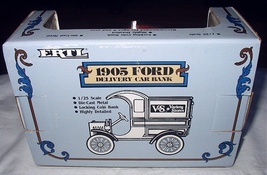 This is an ERTL-Die Cast Metal Bank of a 1905 Ford Delivery Car Bank. 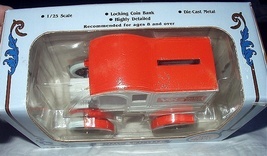 Is a scale of 1/25, die-cast metal, locking coin bank, highly detailed. 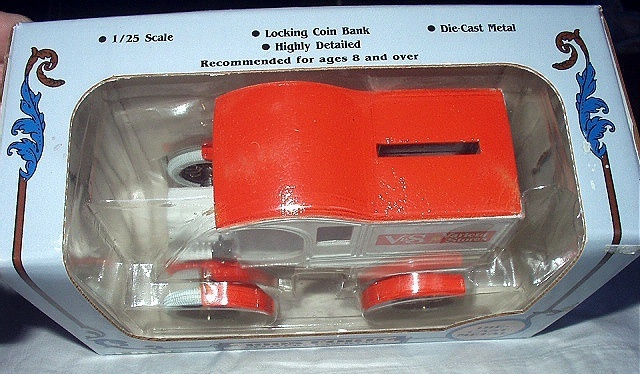 It has rubber tires. 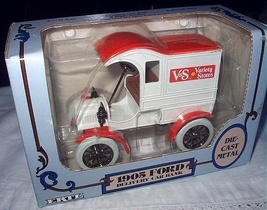 Delivery truck has advertisement on the side of the cab as V S Variety Stores. Is painted white with orange accents. Shipping/Handling in the U.S.A. will be 12.50. 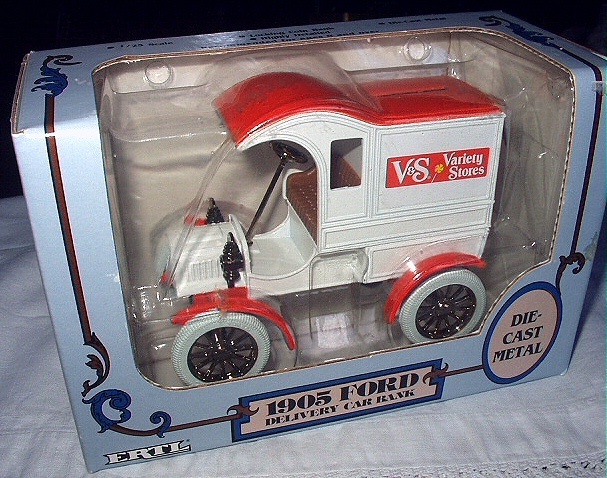 Thanks for visiting Antique Finds. **WE GLADLY SELL WORLDWIDE JUST ASK FOR SHIPPING QUOTE!! ** REASONABLE OFFERS ENTERTAINED! !